I was devastated yesterday when due to an emergency I wasn't able to stop by Maria's Bag press preview. I had been looking forward to this event for weeks now and at the last minute... couldn't make it. Nonetheless I was able to obtain the event images and had to share them with you guys. If you're not familiar with Maria's Bag, it is an amazing accessories brand founded by former Miss Guatemala, Alida Boer. Each bag is handcrafted by Guatemalan women combining cultural significance of the huipil fabric. Each of their personal stories are weaved in each bag, resulting in a beautiful unique piece of art. 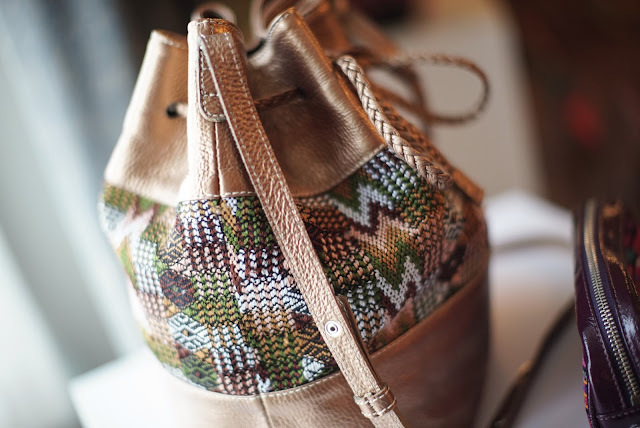 The patterns and color combinations on each bag are incredible. Maria's Bag also gives back to the community through more than beautifully crafted accessories. 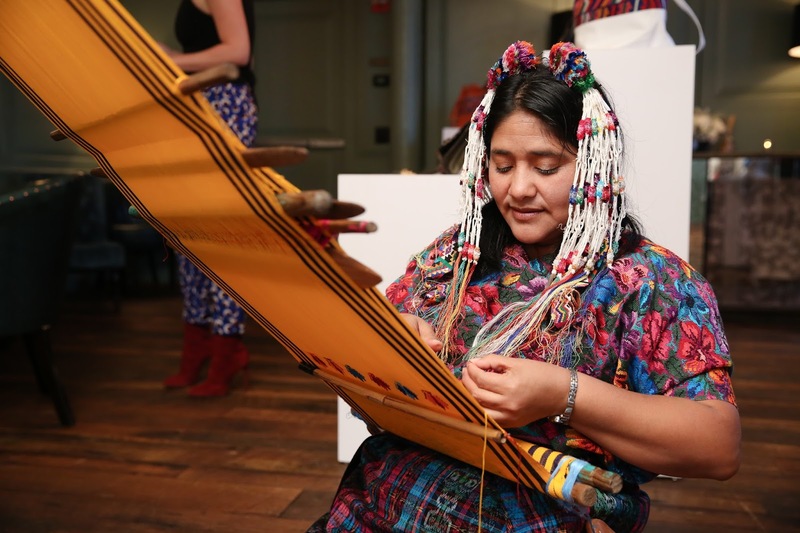 Many of the women behind the bags are mothers who do not have jobs and use their art as therapy for themselves as well as to preserve culture and roots. Additionally, a portion of the income from Maria's bag goes to a school in Guatemala to provide children with free education and meals. This is something that simply caught my attention and made me want to share with the world! Alida is deeply passionate about giving back to her country by supporting the local women and their families with education and fair payment. I love supporting brands and women who are making an impact in the world for the better & Alida Boer, Maria's Bag is one of them. I don't know about you but I can't live in the same space for too long. I have to constantly move things around, hang new art or paint, in order to feel inspired and happy. This is certainly something my husband says he hates about me but, I know he secretly loves it. Last week I went to Lowes and looked through the impressive HGTV HOME by Sherwin Williams color collection. There were so many beautiful colors and finishes to choose from. I ended up purchasing two of my favorite semi gloss finish colors. I went with a light orange and a beautiful baby pink, very Spring inspired. While at Lowes, I also purchased a few high quality Purdy brushes which made my painting job a lot easier. I've been trying to get this post out for so long, I'm happy to finally share it with you guys. 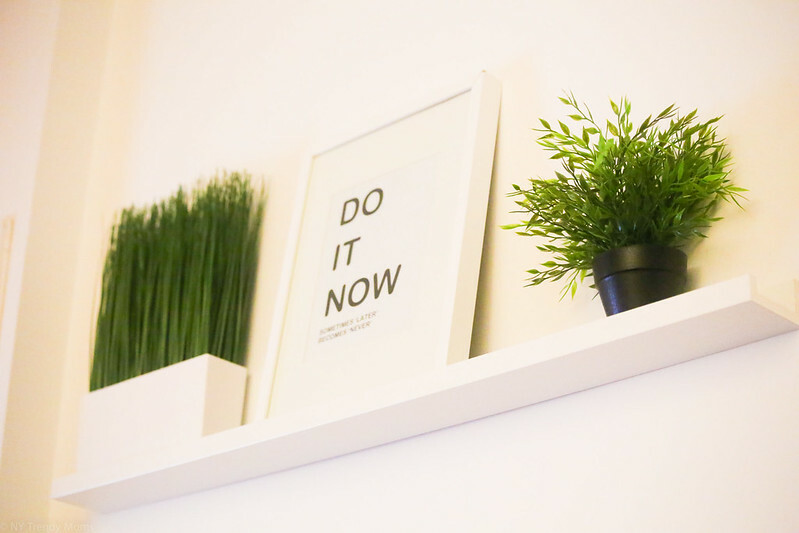 Here's how I re-decorated my living space for 2016. I decided to paint my bright yellow french doors a nice feminine color for a change. I first tried the light orange color and didn't like the way it look with my furniture. Then I tried this pink soft color which complimented the hues of purple and maroon in my living room perfectly. No sé ustedes, pero yo no puedo vivir en el mismo espacio durante mucho tiempo. Tengo que mover constantemente las cosas, colgar arte o pintar, para sentirme inspirada y feliz. Este es sin duda algo que mi marido dice que odia de mí pero, sé que en secreto le encanta. La semana pasada fui a Lowes y miré la colección completa de HGTV HOME by Sherwin Williams. Habían tantos hermosos colores para elegir y terminé comprando dos de mis colores favoritos. 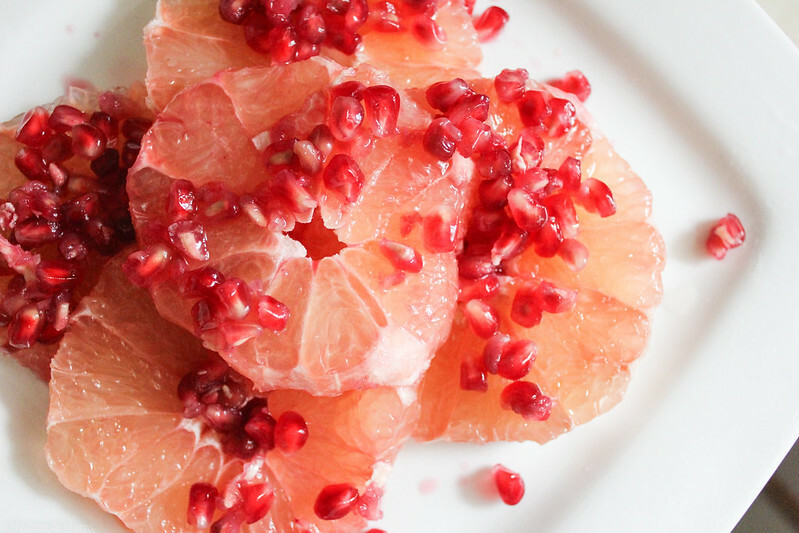 Fui con un color naranja claro y un hermoso color rosado, muy inspirado por la primavera. Estoy feliz de finalmente compartirlo con ustedes mi nueva puerta. Me decidí a pintar mis dos puertas francesas amarillas un color femenino para un cambio. La primera vez que probé el color naranja claro, no me gusto la forma en que se vio con mis muebles. Entonces traté este color rosado que complementa las sillas púrpuras en la sala de mi casa a la perfección. We've got quite a blizzard here in NYC! I think no one really though it would be as bad as it actually turned out. Nonetheless, my family and I enjoyed playing in the snow for a change. I hope all my New Yorkers stay warm and safe. Tremenda nevada mi gente que callo aquí en NY, ya que yo no estaba esperando tanta nieve. De todos modo mi familia y yo la pasamos de maravilla jugando con la nieve. Espero que todos ustedes estén sanos y calienticos en sus casas. There are so many ways to eat right all by simply making the right choices. I get so many food and health questions all the time via social media and email. I feel out of place telling you what will work and what won't as I'm not a nutritionist or anything like that. What I can do is share what I eat for a healthier me and you can apply those things (if they fit) into your life, does that work? Hay tantas maneras de comer saludable todo simplemente tomando las decisiones correctas. Ustedes siempre me mandan tantas preguntas de la salud todo el tiempo a través de las redes sociales y correo electrónico. Me siento fuera de lugar diciéndoles lo que funciona y lo que no, ya que no soy un nutricionista o nada por el estilo. Lo que puedo hacer es compartir lo que hago para mantener me sana yo y usted puede aplicar esas cosas (si caben) en su vida. Congratulations InnerGoddes Lola and Mindy Soto. Lola you'll be receiving the blush palette and Mindy will be getting the lipstick and lip liner. Please direct message me your address on instagram asap. If I don't receive a message before Thursday January 21st, I will be choosing a different winner. Thank you everyone who entered this giveaway. There will be a lot more coming soon. Hey guys! Hope everyone had a great long weekend. I've been shopping quite a lot lately at Honest.com. If you're not familiar with this website, it's a site offering natural/organic products for your entire family and household. I always knew this site existed but never purchased anything until a few weeks ago. I first tried the bundle for free and was automatically hooked! After trying a few of the sample items I received, I then bought the full size Honest Shampoo + body wash, the honest hand soap and a few others. I actually just purchased (like 5 minutes ago) vitamins for Zareena, Leanne and myself. It's so nice to know all these products are natural and perfectly safe for your family. It's finally starting to feel like Winter here in NYC and to be quite frankly, I missed this cold weather. Although, my girls can't say the same. I'm a Winter baby and they were born in Spring, so.. it's understandable. Going outside these last couple of days has been so hard because Leanne and Zareena do not want to get out of the house.. at all! Thankfully, this look was shot when it was a little warmer out. Continue reading for outfit details. No puedo creer que ya estamos en el 2016! Finalmente esta frio aqui en Nueva York y para serle sinceros, estoy feliz. A mi me encanta el frío porque naci en Diciembre, pero a mis hijas es todo lo contrario. Estos últimos días ha sido difícil sacarlas afuera porque solo quieren quedarse en casa jugando y tomando chocolate caliente. Pero creo que ahora que están devuelta en la escuela cambiaran de opinion.